When someone asks me if my kids get enough socialization, honestly my first response is usually to laugh! Truth be told, we have a harder time staying home to homeschool than we do finding opportunities to socialize. The real challenge is deciding what homeschool extracurriculars are our best “yes” for the season of life that we are in and how to say “no” to the equally fantastic opportunities that we just don’t have time for. As a busy homeschool family, how do we decide what extracurriculars to get involved in? The list could easily go on and on. 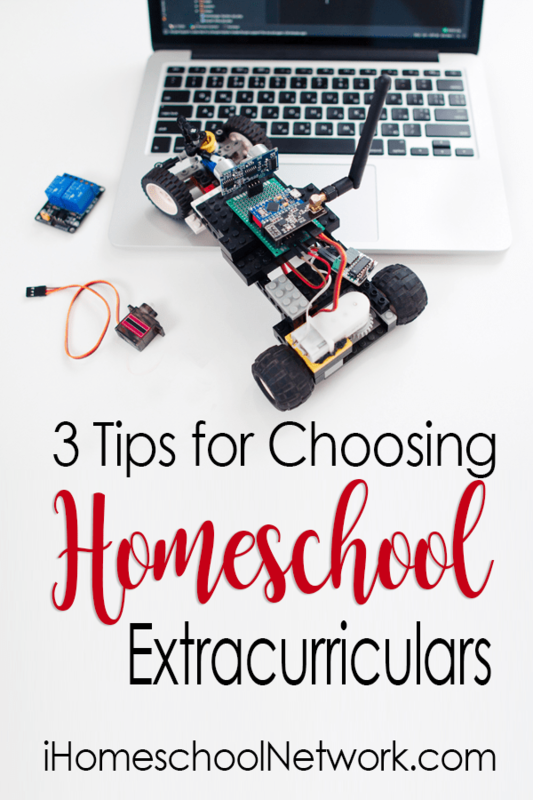 There are so many opportunities available, you merely have to do a quick Google search or a quick post to Facebook to find tons of homeschool extracurriculars. But how do you decide what to be a part of? In addition to the obvious limiters of time and budget, there are a few other factors to help us maximize our resources and our opportunities as homeschoolers. Having a vision for your family, a clear idea of what your family is about and your goals, will help you determine which activities will bring the greatest sense of fulfillment to your whole family. Is your family about discovery and exploration and the great outdoors? Then a nature club might make sense for you. Is your family about discipline and challenge and pushing your limits? Then a gym membership, track and field club, or gymnastic lessons make sense. How would others describe our family? How would you describe our family? How do you want others to describe our family? Then I sat down with their answers and thought through a vision statement—not just for our homeschool but for our family. I wanted a goal, an objective, that helped me to identify not just what style of homeschooling fit our family best, but what extracurriculars fit our vision. What I discovered was that what we had all expressed we wanted our family to be about, wasn’t actually what our activities reflected. We had gotten so busy that we had no room in our lives to actually live out the goals we wanted for ourselves! Suddenly it made sense why all of these great homeschool extracurriculars left me overwhelmed and empty rather than fulfilled and satisfied. If you have older children, include them in this process of deciding what activities are personal priorities for them. A great life lesson is realizing that we can’t be involved in everything. Saying “yes” to one thing means we are saying “no” to something else. Deciding on your priorities makes certain that you are saying “yes” to the things that are truly most important to you. If family dinners are important to you, than certain activities may be an immediate “no” if they involve giving up this priority. If sports and an active lifestyle are important to you, than you have to leave a certain margin of your life open to practices and game schedules. If music and the arts are important, than sports may interfere with these goals. Each of us have different family priorities (non-negotiables) as well as individual priorities. Each of our children will have priorities for themselves, things they are more interested in at the time. And these priorities can shift and change. It’s important to revisit these priorities regularly to make sure they are still true. Help your child to rank his or her interests. I have a child who, like me, has a number of hobbies. And like me, he has to learn that those interests can’t have equal attention. A choice has to be made. That means, while I’m focusing on my writing, my hobbies of calligraphy and painting may have to wait. If he wants to focus on music and coding skills primarily, than his sports interests may need to wait for another season. Prioritizing your activities and aligning them with your overall family vision helps to keep those opportunities from taking over your life. Balance does not mean giving everything in life equal attention all at once. Trying to balance life and housework and homeschool and parenting and activities and work by giving equal amounts of time to each is, really, an impossible expectation. Instead, balance the sum of what you want to accomplish with the total of what you have to give. If you have a large family, you understand this at the most pragmatic level; all parts must work together, but different aspects of your life take priority at different times. At times in my life, my work deadlines and projects take priority, and my housework may slide for a bit. After that deadline is met, my housework and other responsibilities take priority for a time as I catch back up. Our homeschool extracurriculars work in the same fashion. Maybe there is a season where a particular sport for a particular child is a priority for an agreed upon time. In the next season, maybe LEGO® robotics or music lessons takes priority for another child for an agreed upon time. If we strive for this kind of balance, we can eliminate the guilt trips we put ourselves through and the nagging question of “am I doing enough?” We can stop adding more and more to our schedule in an effort to satiate that false guilt. And we can make intentional decisions about our priorities and our goals for our family and our children. Just as we seek to be intentional about our educational choices, taking time to be intentional about our homeschool extracurriculars is equally important. Tracy's life is creative chaos, and her homeschool is loud and busy and distracted and challenging and lovely. Homeschooling her crew of 3 kids with ADHD/dyslexia, Tracy loves finding creative ways of using their strengths to teach to their weaknesses. 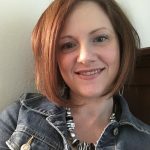 At growingNgrace.com, she shares grace for the messes and mistakes, and the knowledge to pick up the pieces and make something special.